Thanks to the nice folks at Corbis for a profile in their blog. 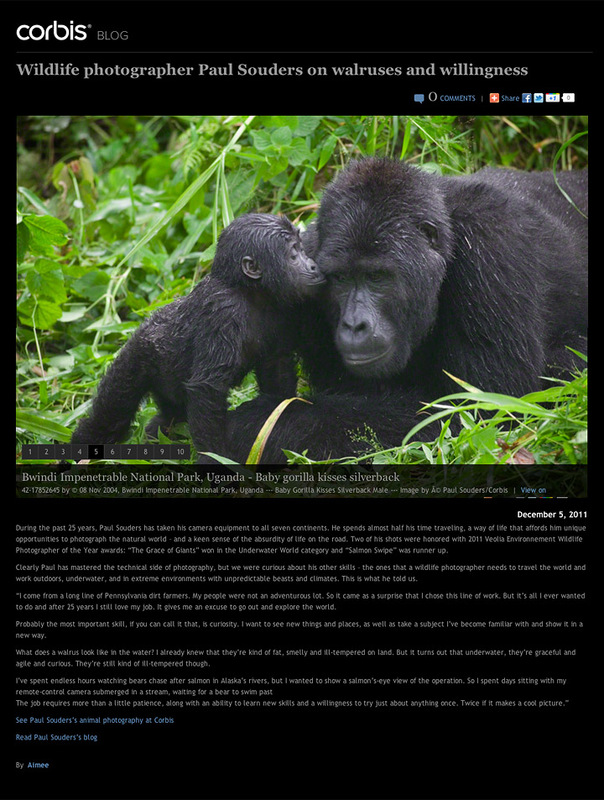 Click here to read the story and check out the gallery of wildlife images. This entry was posted on Wednesday, December 7th, 2011 at 9:32 am. It is filed under News and tagged with Corbis, Shameless Self Promotion. You can follow any responses to this entry through the RSS 2.0 feed.